JOHN MAYER will be kicking off his 2019 World Tour on Saturday, March 23, 2019, in Auckland, New Zealand at Spark Arena. The seven-time GRAMMY winner is known for numerous massive hits, such as this year’s “New Light,” “Gravity,” “Love on the Weekend,” “Heartbreak Warfare,” “Daughters,” “Waiting on the World to Change,” “Your Body Is a Wonderland,” and many more. These “An Evening with John Mayer” concerts will feature songs spanning Mayer’s entire recording career and mark his first tour down under since 2014. There will be no opening act. “I can’t think of a better place to start my world tour than New Zealand and Australia. 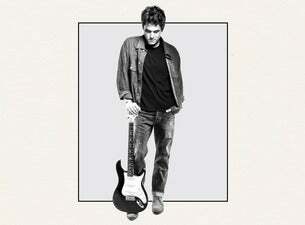 It’s been way too long since I’ve been back there,” said John Mayer. Tickets will go on sale at 11am Monday, December 17. Spark Customers will be able to access a special pre-sale commencing 11am Friday, December 14 until 5pm Sunday, December 16. For details head to: www.spark.co.nz/music. Mayer’s last album, The Search For Everything (2017 through Sony Music New Zealand), is his seventh studio album and fourth RIANZ Top 40, preceded by debut album Room for Squares in 2002, Heavier Things (2003), Platinum album Continuum (2006), Gold album Battle Studies (2009), and RIANZ #1 Born and Raised (2012) plus 2013’s Paradise Valley.